The perfect ski or summer holiday. 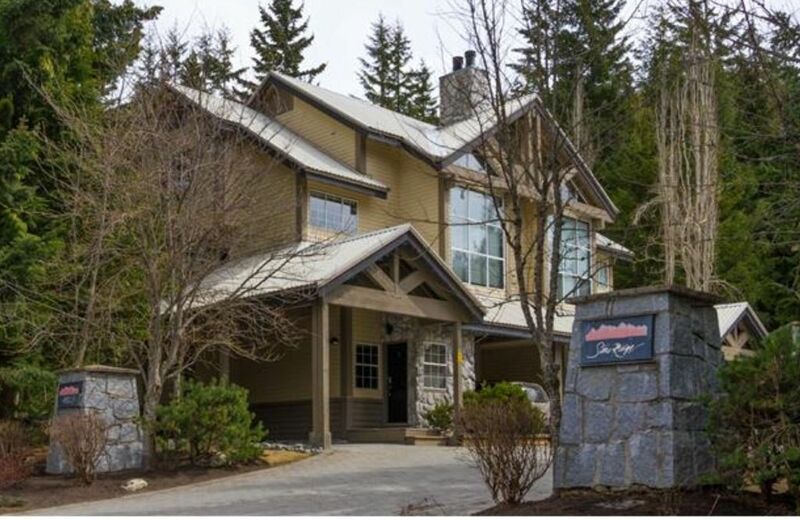 Luxurious, spacious, three bedroom townhouse located at the base of Blackcomb Mountain at Whistler. Ski out 100 yards to the lifts. Our three bedroom townhome is set in a quiet and scenic area of the mountain. Heated slate floors, granite counters, and a secluded private hot tub to unwind after a wonderful day of skiing/ boarding or outdoor play. We have free high speed wireless, 3 TV's, DVD, PVR, and Bose iPod stereo. There is a wood burning fireplace,washer and dryer, Weber BBQ and a well equipped kitchen with everything you need. There are 2 outdoor decks. One is furnished with 2 comfy chairs/side table to relax and read. The other lower deck has an outdoor table 4 chairs/ umbrella for summer dining. There are 3 bedrooms spread out on 2 levels . The master has a queen, the second bedroom has 2 queens and the third bedroom has 2 twins and a single cot. This townhouse is a 5 minute walk to the ski slopes and a 10 minute walk to the village. No car is neccessary. There is a free shuttle stop right in front of the home that runs every 10 minutes. A special home for special guests. We are a family of four who love skiing. We are thrilled to finally own a slice of Whistler. This is our second home and we hope your enjoy it as much as we do. We have been coming up here for over 34 years. It's a beautiful part of the west coast. You can walk everywhere from this unit- no loading up the car with ski equipment to get to the mountain. Leave the car behind and stroll to the best après ski in the village. It's in a quiet setting yet close enough to all the action. Adjacent to Blackcomb Gondola on Blackcomb Mountain. Ski in/ Ski out depending on the conditions. Has private hottub on deck off dining room. No car necessary. Quiet/scenic setting. Showers, heated slate floors, granite counters. Covered parking beside unit. One additional parking available in centre courtyard but will need a parking pass displayed on dashboard. Outdoor hottub on private deck off dining room.